It’s been said that in Sea Bright, the beach is just a block away. And that’s because wherever you are in Sea Bright, it’s just a short walk to the beach. 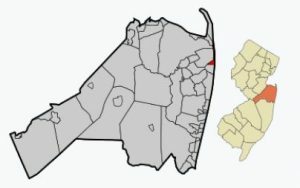 Sea Bright is located on an island, with the Atlantic Ocean on the east, and the Navesink River and the Shrewsbury River to the west. And this makes Sea Bright an ideal location for boaters. The first homes in Sea Bright were simple shacks in a fishing community near the beach. Things have changed a bit since then. Sea Bright homes for sale sometimes can be purchased as low as the low $200,000s. However, homes can also cost up to $3 million. In 2010, the Census reported 1,412 people lived in homes in Sea Bright. And, as with many shore towns that number probably gets larger during the summer. A seawall was built to help protect these expensive homes from the storms in the Atlantic Ocean. The Sea Bright-Monmouth Beach Seawall runs the length of the town. In addition to the seven members-only beach clubs in Sea Bright, there is also a large public beach. During the summer months lifeguards are on duty. However, beach parking can be an issue. Because train service to New York and points north is available at the Red Bank or Long Branch stations, Sea Bright is a desireable location. Public school students in grades kindergarten through eighth grade will attend the Oceanport School District. Also, when students enter high school students they will attend Shore Regional High School in West Long Branch.